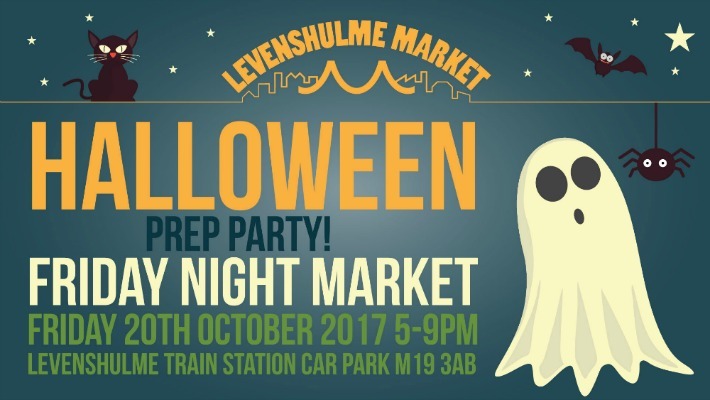 Our next Friday Night Market – a spooky special – will be held on Friday 20th October 2017, 5-9pm on the Levenshulme train station car park. Ok, so Halloween isn’t for a little while yet. But we LOVE the chance to throw a spooky night market, so we’re starting the proceedings early with a little pre-‘Ween shindig! As always, we’ve got ALL the best street food, including seasonal and Halloween specials, and a cracking Buttery bar bursting with craft beer, wine, cocktails and spirits (of the boozy kind). Entertainment is provided by Beatific DJs from 6pm, playing out a cracking mix of weekend bangers and suitably creepsome tunes. Kids printing, face painting and scary squashes! For the kids, John Pindar Arts will be busting out some Halloween stencils so the kids can do some ghoulishly fun screenprinting – perfect for decorating the house ahead of the big weekend. 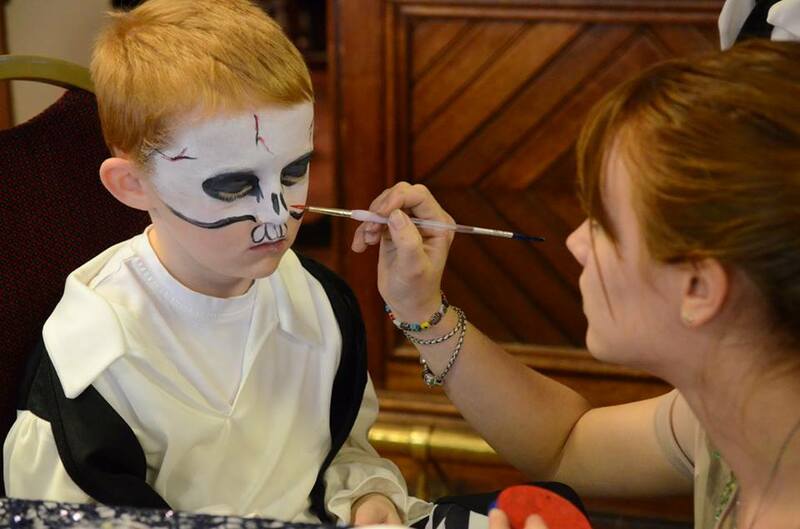 You can all get your terrifying faces sorted out at the same time, as Em-mazing the Mermaid Face Painter will be on hand with skeletons, Day of the Dead designs and more fab ideas for Halloween makeup. Last but not least, a competition! With free food and market goodies on offer for the winner! Carve yourself a scary pumpkin, squash, swede or even a chunky turnip and bring it along to add to your own creations to our Halloween decorations. We’ll provide the tea lights! The scariest ‘lil veg will win a £20 market voucher to spend at any Saturday market in November, so get carving!